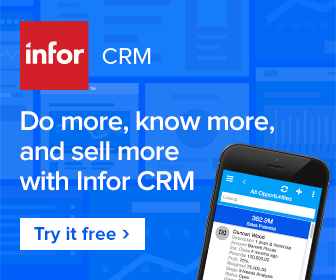 New announcement: Saleslogix to become Infor CRMtm and move into Infor's CloudSuite, read more. The Saleslogix CRM is mobile-enabled, right out of the box, so your teams can access your customer knowledge database from all the popular mobile devices. Mobile CRM delivers tremendous business benefits as it improves the quality and timeliness of the CRM’s customer data, increases customer satisfaction through greater responsiveness and drives revenues by moving opportunities through the sales pipeline more efficiently. Learn more about Saleslogix Mobile benefits. As businesses grow, the way the company does business will also change. Saleslogix CRM is a highly adaptable, flexible and personalized CRM solution. At Success with CRM Consulting, we specialize in translating the way you do business so you can take advantage of the capabilities provided by these solutions. From lead capture to customer relationship email marketing, we can help tailor a built-to-fit Saleslogix CRM solution that works the way you do. Learn more about our CRM Customization Services. A more successful business begins with better business and customer intelligence. With Saleslogix CRM, businesses get the tools to turn data into insights, make better strategic decisions and manage resources more efficiently. More than 300,000 users at over 8,500 companies worldwide rely on Saleslogix Web, Windows, and mobile access options to shape their strategic priorities, manage real-time customer data and accelerate sales results. 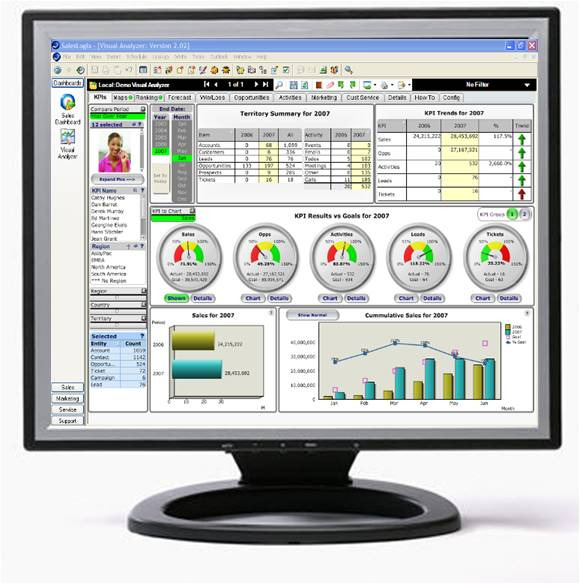 Learn more about Saleslogix CRM’s business analytics capabilities. Rely on Saleslogix CRM to capture information and interactions from across your organization and from external sources to create a 360-degree view of your customer. Saleslogix enables you to integrate with business management applications, desktop productivity tools and web services. Rely on Saleslogix as the hub of your commercial operations by creating rich customer profiles. Capture information and interactions from across your organization and from external sources to create a 360-degree view of your customer. Saleslogix enables you to integrate with business management applications, desktop productivity tools and web services. 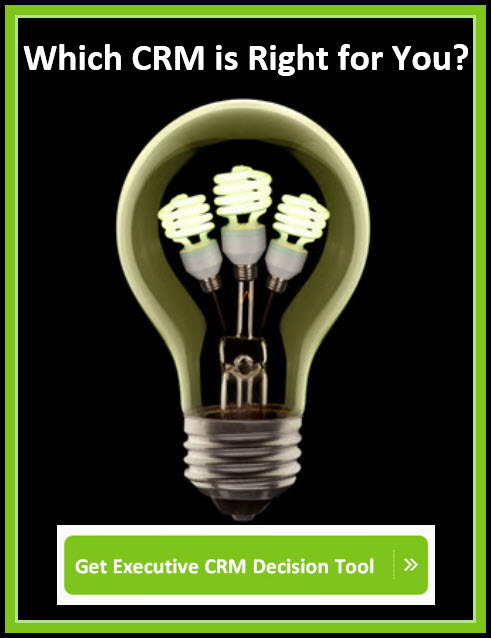 Success with CRM Consulting implements fully customized Saleslogix CRM systems that captures knowledge easily, returns new insights, and allows for better decisions to be made quicker. This customization helps give your business a competitive edge. View descriptions of tailor-made enhancements, here. A certified Saleslogix partner, Success with CRM Consulting co-designs a purpose-built, personalized CRM that is intuitive and familiar as it is based on your company’s work process and user interfaces. We have extensive experience with legacy systems and can ensure accurate, efficient and clean data migration. We deliver flexible Saleslogix training solutions for administrators, power users and end users, including on-site training, video training of common operation processes, classroom training and Saleslogix webinar training. Our reliable, professional Saleslogix support services ensure that you get the most out of your CRM system, and can concentrate on the work that matters – growing your business. We deliver on-site, remote, and after-hours support services. Today's economic conditions are more challenging than most companies have ever faced. BUT these times present new opportunities for companies that develop an engaging business relationship development strategy. Saleslogix CRM is uniquely positioned to assist you. Download CRM: A Business Imperative white paper that examines how Saleslogix works with small- and medium-sized businesses like yours to help them protect and grow their revenues during the economic downturn. Which Department Do You Keep? Check out this fun video that provides a quick overview of the total CRM business solution. See the sleek welcome screen, informative dashboards, a trending account timeline of the business account relationship, service/support ticket for issues and resolutions as you build your knowledgebase and have a CRM system that is an appreciating asset. But don’t take our word for it! Read what others say about our professional services in reasons to believe. Need to Make a Switch?